The Pisces New Moon on February 26th is an Annular Solar Eclipse! It occurs at 7:58 am MST at 8 degrees Pisces 12 minutes. This Pisces New Moon is part of a tremendous Pisces stellium, or a cluster of three or more planets in the same sign. This Pisces New Moon stellium contains SEVEN celestial points including 6 planets and the Moon’s South Node. That’s a LOT of Pisces energy! As the final sign of the natural zodiac, Pisces is always associated with endings, completion and culmination. 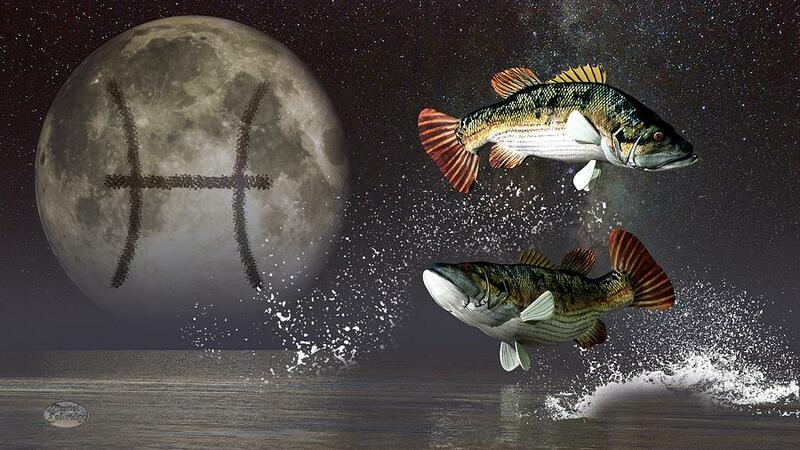 With so much Pisces energy emphasized in this New Moon chart pattern, we can expect MANY old realities, paradigms, structures, circumstances and situations to come to an end. Further, since the New Moon is also conjunct, or in very close alignment with the Moon’s South Node, these endings will be absolute with far-reaching consequences. This is because the South Node symbolizes the past and what needs to be released for evolutionary growth to continue. Holding on or trying to maintain whatever has reached its limitations or exhausted its natural energy and purpose, actually interferes with and prevents further evolution. Clinging to the past always ensures an ongoing re-creation of the past. Fortunately, for those who trust in the Divine, faith often comes much more easily. So thank heavens for this Pisces New Moon and it’s tremendous Pisces stellium because Pisces is the sign of faith! Spiritual guidance, divine wisdom and inner peace are readily available now with such an abundance of Pisces energy. Pisces is a vast archetype. It embodies all twelve zodiac signs and therefore rules every possible human experience. It rules the totality of consciousness, which creates reality. It rules universality. Universality is associated with the principle of connectedness that reflects the natural LAW OF ONE – that everyone and everything is connected energetically – to each other and to the Divine Source that created us all. Quantum science long ago verified this natural law as truth. With utterly no separation and no boundaries, no structural definition or limits, there is no way to distinguish this from that, or me from you. This is only one of the many reasons that Pisces is often associated with confusion. Confusion is a necessary Pisces experience however, since this sign’s evolutionary intention is to DISSOLVE whatever we falsely believe in or have given too much meaning to with the hope that it will bring us happiness, fulfillment and well-being. All too often, these things actually separate us from, or prevent us from seeking a deeper relationship with the sacred aspects of life. In biblical terms, they are ‘false idols.’ Ultimate meaning and true fulfillment can only come from reunification with the Divine Creative Source or what we call Spirit, God or Goddess. People and things lose their meaning when they interfere with this spiritual connection. Pisces ALWAYS operates through a process of dissolution. And as dissolution occurs, we naturally experience confusion. Realize this dissolution has a spiritual evolutionary purpose. Realize too that when the dissolution process is complete, we can experience absolute clarity. Dissolution brings confusion. As our consciousness awakens to Divine Truth or the reality of wholeness, of ONE-NESS, clarity returns and replaces confusion. Just ask anyone who has experienced their individual consciousness merging with the totality of the universe. When this occurs, it’s always described as a spiritual awakening that brings the ultimate realization of truth. What could be more clear? So Pisces is the sign associated with natural laws and the awakening of human consciousness. It reflects the natural spiritual evolutionary developmental path. This final sign of the zodiac naturally symbolizes the Soul’s ultimate desire, which is the desire to return to and reunite with the Divine Creative Source that created it. It is perhaps helpful to also understand that Pisces rules all sources of water including the oceans. We often use the phrase ‘sea of consciousness’ to describe the totality of collective human consciousness. We also use the Pisces words ‘universal’ and ‘solvent’ together to describe the dissolving quality of water. On a mundane level, the subject of water is currently capturing headlines as record rainfall in drought-stricken California resulted in the evacuation of hundreds of thousands of people as the overflow spillway in the Oroville Dam dangerously eroded. This dam is a crucial part of the state’s water distribution infrastructure. While the highest expression or manifestation of Pisces energy is spiritual development and the pursuit of connection with the Divine, the lowest expression of this sign is the desire to escape reality when it feels too painful or becomes a source of overwhelming disillusionment or disappointment. Remember, Pisces is an extremely emotionally sensitive sign. Pisces feels everything to the ‘nth’ degree. 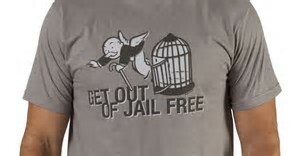 The desire to escape can become a causal factor that leads to substance abuse and addiction for those who feel powerlessness to change their reality. This of course then leads to even more fear and more despair. The dissolving nature of Pisces can further erode reality, undermining an ability to face up to the truth about what’s just not working anymore. Delusions, deceptions, illusions, false idealism and fantasies have no basis in reality. These too are associated with Pisces. T his sense of powerlessness itself is a false and distorted reality. Humans are intrinsically powerful through their ability to make free will choices. 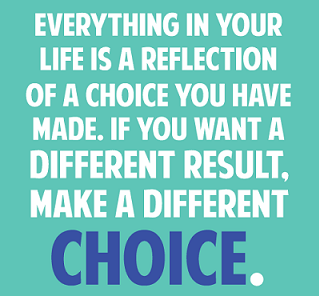 Choices reflect the very nature of any individual’s quality of consciousness. Remember, consciousness creates reality. Whether you identify with being a victim of circumstances or a co-creator of circumstances is always your choice. 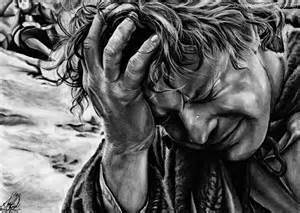 Those who feel victimized unwittingly maintain a quality of consciousness that is self-defeating and ultimately self-imprisoning. It’s important to understand the downside of this sign now since the great emphasis of Pisces energy in this New Moon Solar Eclipse can also plant ‘seeds’ of utter destruction and self-undoing for those who choose to use it unwisely. To bust out and break free requires making different choices. Taking complete responsibility for ALL your choices is also required. Thankfully, this Pisces New Moon Solar Eclipse chart pattern has another extraordinary planetary connection that can provide just the ticket to liberation from the despair and disillusionment that creates self-made prisons! Mars is within just minutes of a precise connection with Uranus in Aries. It simultaneously opposes retrograde Jupiter in Libra that will itself also oppose Uranus for the second of three times on March 2nd. Jupiter and Uranus continue to be part of a dynamic revolutionary T-Square configuration that also includes Pluto in Capricorn. This T-Square is THE heavenly pattern associated with the increasing social unrest, political activism and chaotic changes happening here in the United States and throughout the world as old social, political, cultural and economic realities continue to be challenged and continue to disintegrate. Jupiter in Libra opposite Uranus in Aries in the T-Square reflect the extreme levels of inequality between the ‘haves’ and the ‘have-nots’ globally. Pluto in Capricorn represents those in positions of power and authority in governments and social institutions the world over who are resisting many of the changes their citizens are increasingly demanding. This T-Square clearly represents a power struggle between the past and future, between those who are resisting the status quo and those who are trying to maintain it. From an evolutionary point of view, its helpful to know that in the end, the forces of evolution always overcome the forces of resistance. For those who are reeling from all the chaos in the world right now, remember that evolution is a long game. Patience, as well as persistence are always required to bring about necessary evolutionary change, particularly on a social or collective level. As Mars enters the T-Square and connects with Uranus, enormous energies and forces for change are available. On a personal level, this energy can provide the courage necessary to take those leaps of faith and to leave the security and familiarity of the past behind in order to chart a new course or path forward. Mars and Uranus are the keys to the prison cells. They are the ‘rocket fuel’ that can spur the manifestation of sudden, unexpected and even shocking events that forever change the landscape for individuals, communities and even countries. In the latter days of March, Mercury will also enter the T-Square and connect with Pluto, Jupiter and Uranus too. Since Mercury rules knowledge, information, and all forms of communication, expect important messages and insights to further spur revelations and revolutions. While ‘fake news’ has come to dominate our attention lately, this Mercury passage through the T-Square may well bring ‘shocking news’ and exposure of facts, truths and realities that quite powerfully change the course of current events. Interestingly, in the US progressed chart (progressions slowly ‘unfold’ any natal chart to a current point in time), our nation’s Mercury has been retrograde since 1995. It will station direct, resuming forward motion in early April this year. Through it’s association with information and communication, Mercury also rules the media and the press. 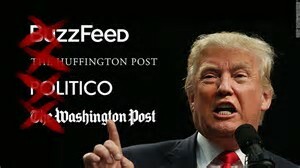 President Trump recently called the US media the ‘enemy of the people.’ The White House has also recently refused to grant press credentials to several reputable news organizations including CNN, the Washington Post, the New York Times, Huffington Post and Politico. 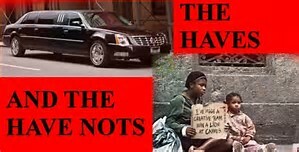 Perhaps the American media is now motivated more than ever before to ferret out truths and expose lies? When retrograde planets change direction and begin to move forward once again, all the things associated with that planetary archetype also begin to move forward, often in quite remarkable ways. Stay tuned, because April may well bring explosive information to light that alters the course of our nation’s history. One more very important astrological event happens this month. Venus will begin her bi-annual retrograde period for six weeks on March 4th. She too is currently in Aries energizing the cardinal T-Square. But she won’t connect with Pluto, Jupiter or Uranus until after her retrograde is complete in mid-April. Yes, Venus will provide even MORE celestial energy to events occurring in April. Ruling resources and relationships, values and valuables, Venus retrograde periods are always a time for review and reflection upon our experiences with love and money. Often, people or circumstances from our past relevant to these issues resurface to remind us of what our past experiences with them were like so that when the retrograde period is over, wiser choices can be made moving forward. Venus retrograde periods accelerate the evolutionary process regarding how we manage our valuable resources so that we can more successfully meet our needs, and how we relate to ourselves and others so our relationships and partnerships are healthier. This applies to nations as well as individuals. Clearly, we can do better given the current state of extreme inequality previously mentioned. 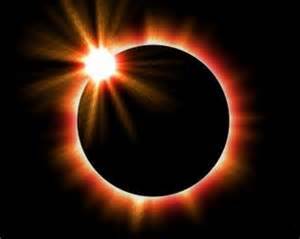 Finally, Solar Eclipses interrupt the flow of the cosmic energies that continuously intelligently inform our consciousness individually and collectively. I always liken them to ‘reboots’ of our personal computers or what we call our brains! Solar Eclipses also precisely repeat every nineteen years. They return to the exact same degree in the zodiac and as a result, repeat the same energetic blueprint of celestial influences. What was happening in your life in 1998? Have you noticed threads of similarity in what’s currently unfolding in your personal experiences? If so, those previous events can powerfully inform your awareness of current events. They can offer insights and understanding that help you to make wiser choices now. The message of this Pisces New Moon Solar Eclipse is to LET GO of what is complete, finished, done, dying, delusional, unhealthy or false. This must occur BEFORE actions are taken to move in new directions and create new realities if they’re to be successful in the end. 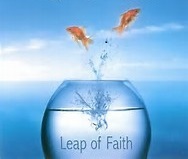 Face realities squarely, find the courage to make different choices and take a leap of faith to liberate yourself! The Aries New Moon occurs on March 27th at 7:57 pm MST!